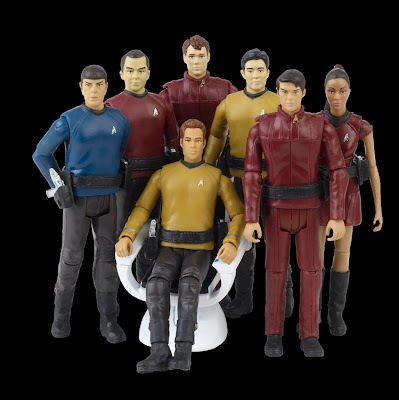 An assortment of three and three quarter inch figures, dubbed the "galaxy collection", which include Kirk, Spock, Scotty, Uhura, Sulu, and Pike in standard uniforms, McCoy and Chekov in Cadet uniforms, old Spock and Nero. 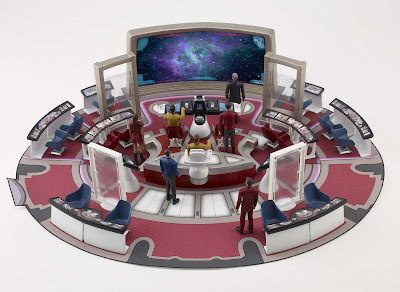 To go with that scale of figure are two playsets, the bridge and transporter room, each figure comes with additional parts to add to these playsets to expand them. 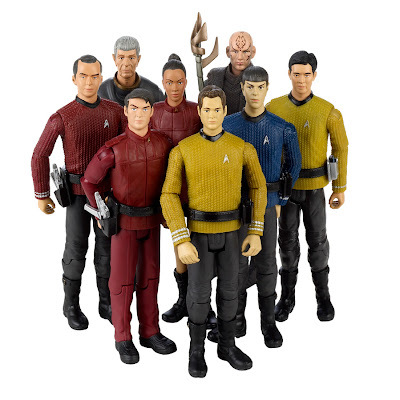 There will also be a six inch "warp collection" of figures, which include Kirk, Spock, Scotty, Sulu and Pike in standard uniforms, McCoy, Chekov and Uhura as cadets and old Spock and Nero. 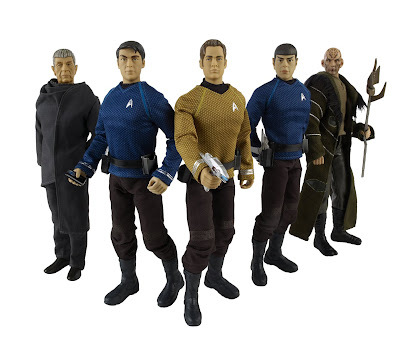 Finally for figures, there will be a twelve inch series, the "command collection", which will consist of four figures; Kirk, Spock (old and young versions) and McCoy. 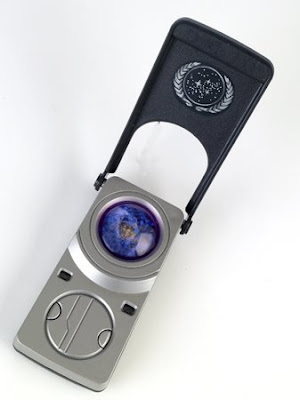 There will also be a Nero, exclusive to a major retailer. 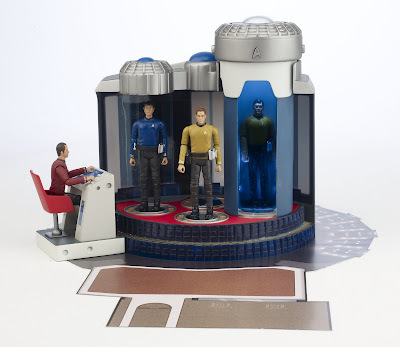 At the people scale, playmates will be issuing three role play toys, a phaser, tricorder and communicator. 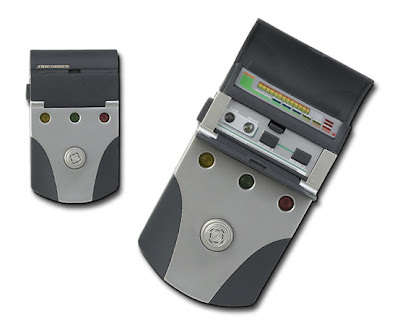 Each have light and sound features. 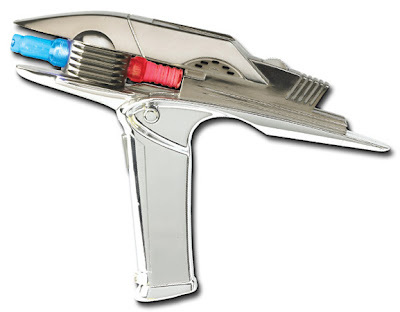 See TrekMovie's report for lots of detail on this line.